Buca Di Beppo Italian restaurants like to refer to its employees as family members. This cozy feeling is the type of atmosphere that it wants to extend to its customers as well, along with authentic and great-tasting food. To find out how to apply for Buca Di Beppo online, follow the Buca Di Beppo application link below. The chain of restaurants has been owned by Planet Hollywood since 2008, which also owns the Earl of Sandwich and Planet Dailies restaurants. But its history goes back further than that. The very first restaurant opened in 1993 in Minneapolis and now has over 86 different locations across the USA. The family atmosphere of the restaurant is achieved by serving all meals family-style. The ambience is created by the vintage décor with its classy photographs hanging on the walls and the constant friendly conversation that you’ll hear when you walk through the doors. In every restaurant there is also the ‘Pope Table’, the biggest table there with the Pope taking pride of place in the middle, in statue form. The company doesn’t like to separate its staff and customers, that’s not family-like at all. Instead it promotes togetherness by most often having a cut out in the wall of the kitchen so that you can chat to the cooks and staff back there. They may even let you sample some of the food before you commit to ordering anything. There are many Buca Di Beppo jobs based in their restaurants including Servers, Hosts and Hostesses, Prep/Line Cooks, Chefs, Bartenders, Assistant Managers and Paisano Partners. The company likes to think of its employees as a family and will often refer to its teams like that. Many of these job opportunities are entry-level with the possibility of advancement. There are also various corporate opportunities with Buca Di Beppo careers. The listings on their website also includes vacancies at their other partner companies. The kinds of positions that will be available from time to time are in the areas of IT, Administration, Human Resources, Sales, Marketing and many more. How old do you have to be to work at Buca Di Beppo? You must be at least 18 years old to apply for jobs at Buca Di Beppo. The restaurants open at 11am daily and then close at 10pm Monday to Thursday, 11pm Friday and Saturday and 9pm on Sundays. All employees in the restaurants will be entitled to a flexible schedule as well as generous discounts on food. Many employees will also enjoy the additional benefits of various insurance programs, paid vacations and holidays, a 401(k) retirement plan and the option of participating in the employee stock purchase plan. Server – As a Server your main responsibilities will be to the customers. You will take orders and deliver meals to the tables. You will be required to upsell many products and make recommendations to customers. Servers are expected to handle transactions and basic cleaning and restocking duties. You will also be responsible for bussing tables. The average pay for this role is $7-8/hour. Host/Hostess – Hosts and Hostesses are the very first face of the restaurant so it is important that you greet all guests with a warm smile and maintain a helpful attitude. Hosts need good communication skills both in person and on the phone. You will need to manage seating and waiting times and be able to answer customer enquiries. This position usually pays $8-10/hour. Prep Cook – Prep Cooks assist all the other cooks in the kitchen by accurately preparing the ingredients that go into the meals by measuring out portion sizes and keeping to all the necessary safety and hygiene standards required of a restaurant. The salary for this position is up to $30k/year. Paisano Partner – The Paisano Partner is equivalent to a General Manager role. You will have responsibility over all aspects of the restaurant and will need to ensure that standards are kept high. You will need to drive sales goals while at the same time ensuring that staff are adequately managed and customers are kept happy. The average salary for this role is $54k/year. It’s important to be prepared for your interview, so after you’ve submitted your Buca Di Beppo application, practice some interview questions. Why do you want to work here? This is a very common interview question so make sure you’re prepared for it. Do some reading on the company the day before so that you can be knowledgeable about the company and the specific job description. Why did you leave your last job? Even if you left on bad terms from your last job you won’t want to come off too negative, so try to focus on what leaving your last job has taught you about what you’re looking for in a career. Are you able to multitask efficiently? Working in a restaurant there can be lots of things going on all at once so it’s crucial that you can handle conflicting priorities. It always helps if you have previous experience to give a specific example of a time when you’ve had to handle a similar situation. What do you think of the food here? You’ll need to make sure you’ve eaten at the restaurant at least once before so you can give your thoughts on the menu. If you can, show off your sales skills by upselling your favorite item on the menu. How would you handle a customer complaint? You will need to be able to demonstrate that you can still deliver excellent customer service when you’re put under pressure. Show that you can stick to company policy and remain calm and professional throughout this kind of situation. 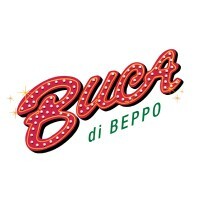 You can use the link below or search for Buca Di Beppo jobs online to be directed to the careers section of their website. There you can see which of their locations are hiring and submit an online application by filling in the application form. You can also use your LinkedIn profile to automatically fill in the Buca Di Beppo job application online with your resume. If you don’t want to apply online and you want to make a direct application to your local restaurant then you can go down there in person and request a free application for employment from the manager there. There isn’t an option to download a printable application for Buca Di Beppo. To submit applications for their corporate roles you will be directed to their parent company website which will display all the opportunities from their other restaurants as well. There are limited vacancies for their corporate offices but you can sign up for email alerts to receive up to date news about jobs in the industry. When you’re invited to an interview make sure you have prepared yourself beforehand to get the best chance of being selected for Buca Di Beppo jobs. It’s important to turn up smartly dressed even if you’re applying for an entry-level position. Make sure that you keep a positive attitude throughout and that you speak clearly and answer questions in full sentences. Bertucci’s: Checkout the application page for work at Bertucci’s. Joe’s Crab Shack: Visit the job application for Joe’s Crab Shack to apply today. Romano’s Macaroni Grill: Visit the Romano’s Macaroni Grill application. El Torito: For career opportunities, fill out the El Torito online application. Pollo Tropical: Use the Pollo Tropical job application to apply here.